Wine is a living thing; a liquid, full of natural compounds in constant evolution. Some wines need time for this development to happen and oak barrels provide a perfect solution, used for many hundreds of years to store and transport wine. 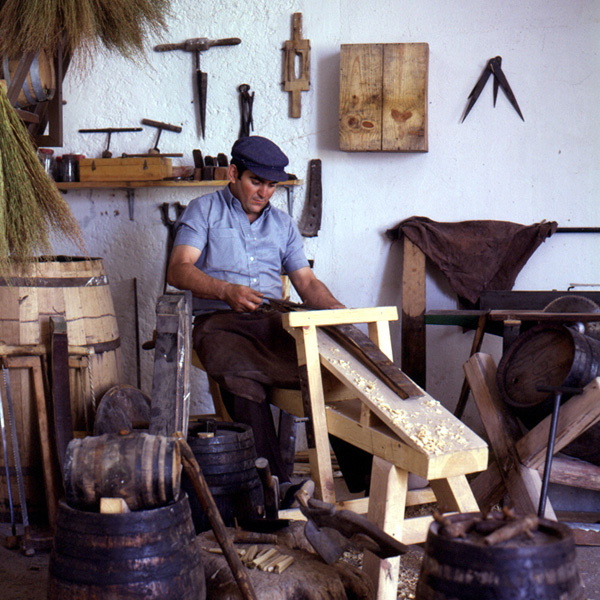 Romans were the pioneers of using oak barrels. During their conquest in what is now France, they discovered the large oak forests and decided to use this natural material to build wine containers for the transportation of the large amounts of wine available in France, back to Rome. Once they had reached their destination, the barrels were substituted for clay amphora. While better for wine storage, the amphora were not as robust as the barrels for long distance transportation. Wood had a clear advantage, not just for its strong structure and permeability, allowing these less refined red wines the opportunity to mature, but also because they could be easily transported and stored on the ships. Throughout wine-making history, new technologies have been developed and implemented to improve wine quality. However, the use of oak barrels in wine ageing has not changed, and they continue to be used to add toasty aromas and flavours to wine, as well as other complex vanilla and spice touches.